Store-Bought Candy Apple Coating: Tested! 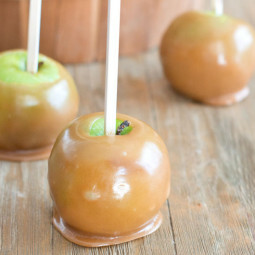 Is the store-bought candy apple kit worth getting or is homemade better? We tested it to find out. 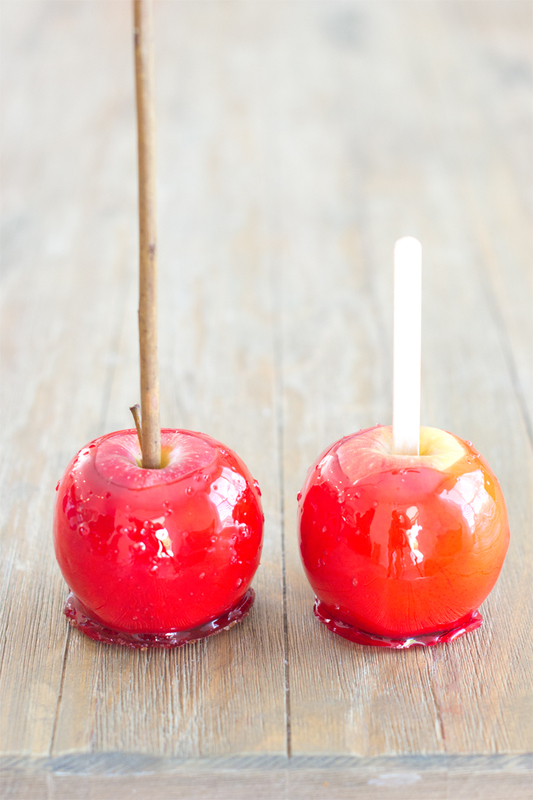 We did a whole candy-apple-making tutorial the other day, making the tasty treats from scratch. It was pretty easy. Definitely easier than we thought it would be. 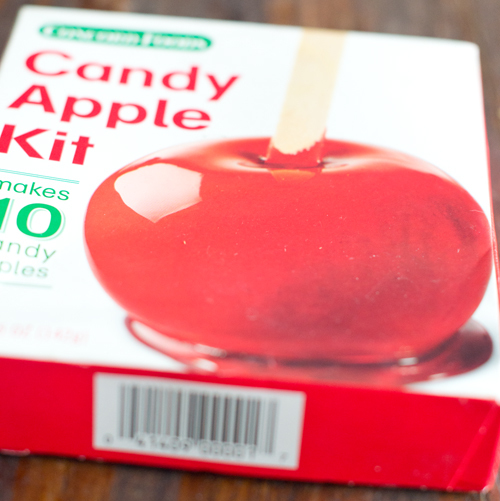 But when we spotted this candy apple kit at the grocery store, we had to test it out to see if it was even easier. And to see if they looked and tasted as good. The kit contained a sachet of powder and 10 popsicle sticks. The instructions were on the back of the box, which is a good thing because you can see ahead of time what you need and what is involved in the process. The items you need and the process are clear and concise. There are some good tips and cautions on there too. The ingredients in the kit are: corn syrup solids, artificial flavor and red 40. You add sugar and water. The one on the left is our homemade one. The right is from the kit. They’re very similar. They’re both nice and shiny. The homemade was a bit redder but not by much. If we hadn’t used different kinds of sticks, we’re pretty sure we wouldn’t have been able to tell them apart. They tasted really similar. Like hard sweet candy on apples. 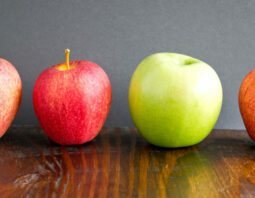 Our taste-testers couldn’t detect a difference and certainly had no preference. 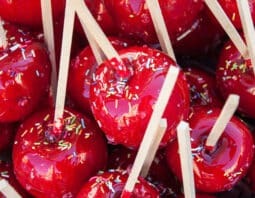 In terms of actually making the candy apples, the store-bought kit wasn’t much more convenient than the homemade version. Here’s the difference. For the homemade, you mix together sugar, water, light corn syrup and food coloring. Then you boil it until a candy thermometer inserted into the mixture reaches 310ºF. 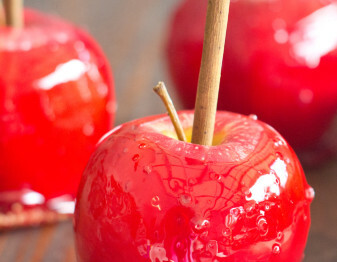 While it’s boiling, put sticks in apples. Then dip your apples in and put them on a greased-parchment-lined baking sheet to harden. Get the recipe and full tutorial over here. For the store-bought, you mix together the included package with sugar and water. From then on, everything is the same. 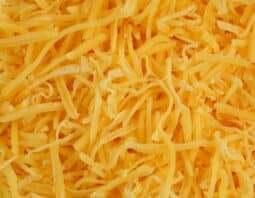 In terms of time/energy in the kitchen, it only saves you adding the corn syrup and food coloring. However, if you don’t already have corn syrup and food coloring at home, then you have to wander the grocery store looking for them. It may save you time there. Also, the sticks are included in the kit. My grocery store only carries sticks in the summer so this bit of convenience is great. Although…I do love the twigs I wound up having to use instead. Isn’t that so cool? The kit is listed as $1.49 on my receipt from my grocery trip that day. I find it amazing that it’s so cheap. On Amazon it’s listed at $7.00. That seems like too much. Is it worth it at either price? 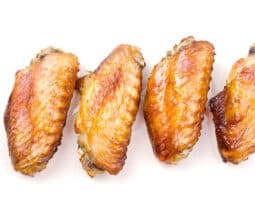 If you already have all of the ingredients at home, including the sticks, then we don’t think it’s worth it price-wise at all. 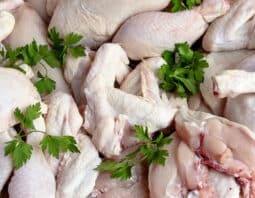 It doesn’t save time or energy and is probably not cheaper than the little bits of sugar and food coloring that you’ll need from your pantry. If, however, you don’t have everything and you need, then buying a bottle of corn syrup, a box of food coloring and sticks is more than the kit. Definitely. The candy apple kit and homemade version are pretty indistinguishable. If you have the ingredients at home already, go with the homemade version. It’s just as easy. Really. 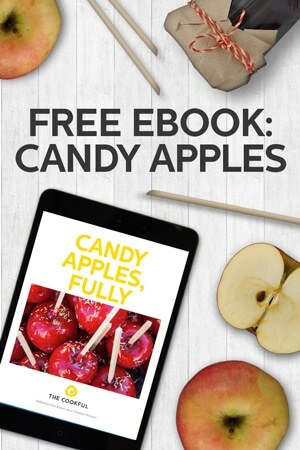 If, on the other hand, you look at our homemade recipe and need to make a grocery list (corn syrup, food coloring, popsicle sticks) then scratch those things off and write “Candy Apple Kit” instead. thanks for the comparison, I tried it last weekend and we couldn’t tell the difference. I purchased several kits to play around with the colored candy apples I’ve seen all over the web. Added white then blue food coloring to the kit and it made the apples dark purple. Will try another color soon. Alicia, I’m glad you found similar results to me. You make a good point. If you make them yourself then you can do whatever color you want. With the store kit you’re stuck with red. Although that bright red sure is pretty! 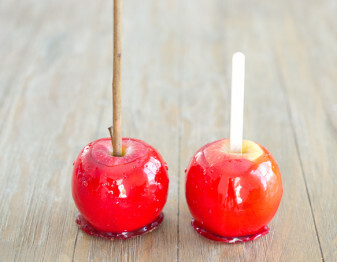 Tishnell, The info is over here https://thecookful.com/how-to-make-candy-apples/ But I use a gel food coloring. There is a pink in this set on Amazon http://amzn.to/2i989S1 They also sell that in the baking section of my grocery store near the birthday candles and frostings. We only made the package ones , just like you Said it was only About 1,29 at the shop. Since we ‘re from Holland we were looking for the kits online and we came with your site. Like you Said Amazon is pretty expensive with A package and then we have to ship. 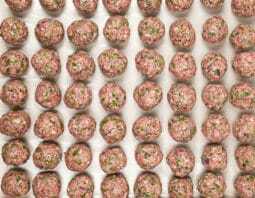 We don’t have them here in Holland , so we are gonna try your homemade ones , for us Much cheaper then shopping online . Andre, Thanks for letting us know. I think you’ll like the homemade ones for sure. Michelle, I’ve never tried it but I think so.